Tell us about the company and why you are attending Analytica? Integra focuses on innovative and productive pipetting tools, and we are also in the business of media preparation. Here at Analytica, we are showcasing our new automated pipetting robot, the Assist Plus. We have the full range of pipettes, from manual pipettes, to electronic pipettes, to small-scale automation with the Assist Plus. Analytica is a very important show for us and our German team. We have a lot of local customers from Germany, so it is really good event for us to be able to provide face to face interaction with our customers and show them our full range of products all at once. What products are you highlighting at Analytica? We are highlighting our new product the Assist Plus. The Assist Plus is extremely flexible, small and very affordable. The Assist Plus, has adjustable tip spacing, and can do reformatting applications with multiple channels, which is very unique for its price and size segment. Users can click in Intergra pipettes and protocols are automatically formed. Typical applications are tube to plate and plate to plate transfers and serial dilutions. What makes Integra a leader in the field? We have always had very unique and innovative instruments. We have a special tip interface, so our tips don’t leak or fall off. 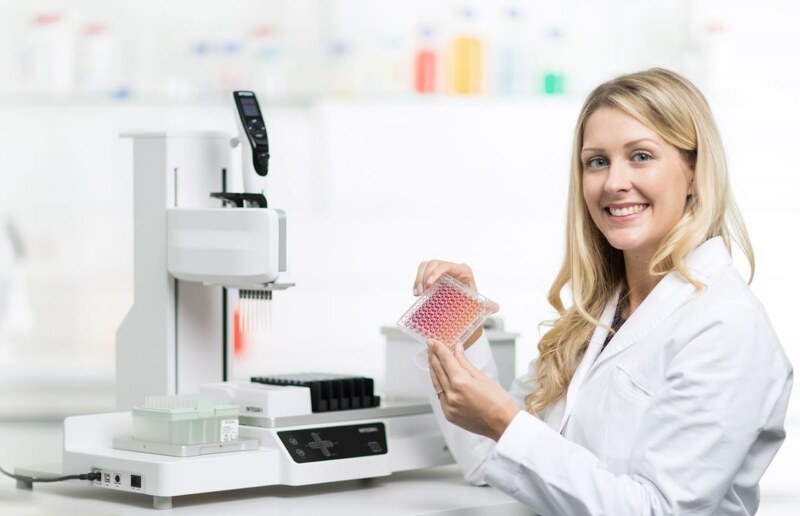 Our pipettes also have a unique touch user interface that you won't find in the industry. Then, of course, our 96-channel handheld Pipette is user controlled and guided. This means that users don’t have to provide pre-programmed positions for all their plates. It's just a very, user friendly, unique approach, which is easy for customers use with minimal training. I would say the whole Life Sciences Industry. We have customers mostly in research, but that can be bio-tech, pharma, academia or diagnostics. All life science industries use our pipettes. Are You Using the Correct Micropipette?